Life would be happy when we marry a person whom we love the most. But it would be best when we marry our best friend. This image is for everyone who had fallen in love with his/her best friend. Indeed propose your heartful love with this image. 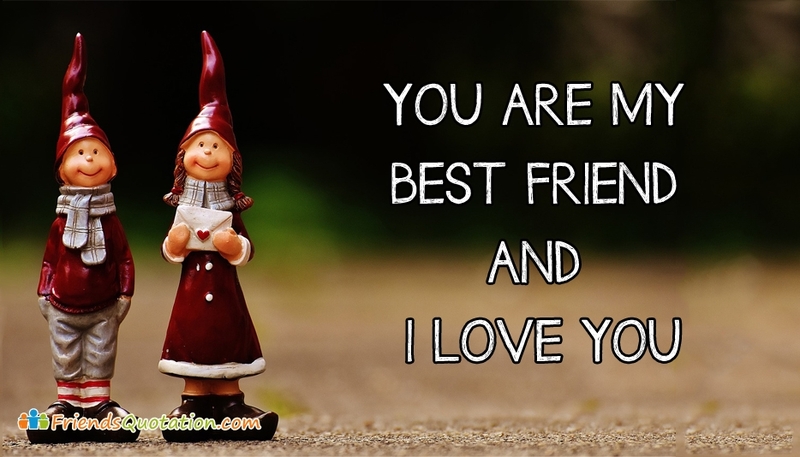 Free download and share this "You are My Best Friend and I Love You" image through whatsapp chat, facebook pages or any social media.